Most fly fishers will tell you that fly fishing brings them closer to nature than any other activity. As humans, leaving the comforts of civilisation behing and venturing in the wild spaces brings release, a sense of place and understanding. This understanding and commitment to wild places is what defines fly fishing as a sport and lifestyle. In this three-part series celebrates and shares this spirit by examining some of the natural phenomena that can be experienced by fly-fishermen around the world, from amazing insect hatches that prompt a frenzy amongst fish and fishermen alike to some fo the giants of the fishing world that have captured anglers' imaginations the world over. HATCH documents the world’s most extraordinary insect hatches and the fantastic fly fishing that accompanies them. There are massive hatches of mayfly on the chalkstreams of England, trout eating ants off bridges in Slovenia, huge cicadas eaten by equally huge trout in the streams of NZ and even a feeding frenzy after a ‘hatch’ of krill in the ocean. 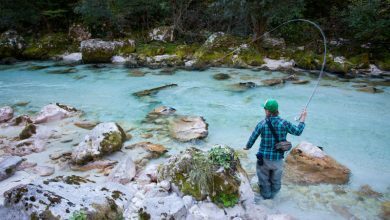 Narrated by Greg French, the film explores remote corners of the world for hidden fly fishing treasures, while seamlessly highlighting the pivotal role fly fishers play as guardians of the water. 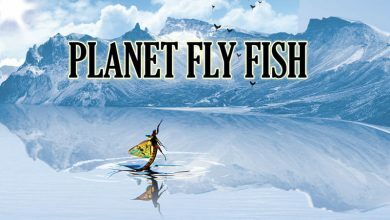 Fly fishermen have always lusted after big fish, those large predators that dominate the rivers, lakes and oceans in which they preside.Narrated by Greg French, PREDATOR explores the globe highlighting the most fascinating predators that can be taken with a fly rod.These large predators employ all sorts of techniques to maximise their chance of catching prey. Some, like the queenfish use pure speed to outrun and crush their prey in the surface film. 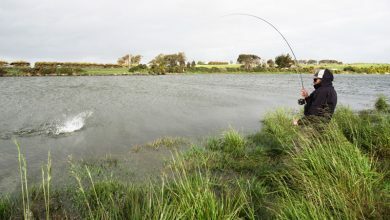 Others like the rainbow trout of New Zealand’s swamps use cunning and guile to get a feed. Regardless of the species, a film about fishing for the world’s greatest predators is guaranteed to be a visual extravaganza. For humankind, water is a source of eternal wonder, so too the creatures that dwell within this mysterious realm. The lure of the unknown is what drives fly fishers to explore and to seek out the largest fish of a species, not for the trophy but for the challenge. LEVIATHAN documents epic fly fishing battles with these modern-day aquatic monsters in a global tour-de-force.New Zealand is recognized as a mecca for trout anglers, but few realise that the largest of these live in tiny spring creeks hidden deep in the dense forests of the Bay of Plenty. LEVIATHAN descends into the forest to shine some light on these enigmatic beasts.Next are the giant rainbow trout of Patagonia’s fabled Jurassic Lake. This desolate and wind swept lake is undoubtedly home to the largest trout on the planet. 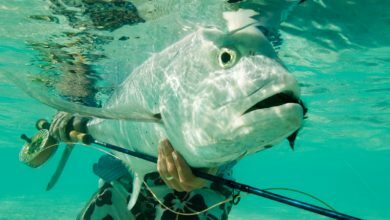 Surprisingly, these brutes readily devour huge dry flies, leading to many heart-in-mouth moments for fly fishers.In the South Pacific, there is one denizen of the deep that demands instant respect - the Giant Trevally. Amongst fishermen the lore of their strength and aggression is second to none. LEVIATHAN follows fly fishers as they lock horns with these mighty fish in the coral reefs of French Polynesia and Australia’s Great Barrier Reef.